Picture yourself sitting by the fire warming yourself during the polar vortex. 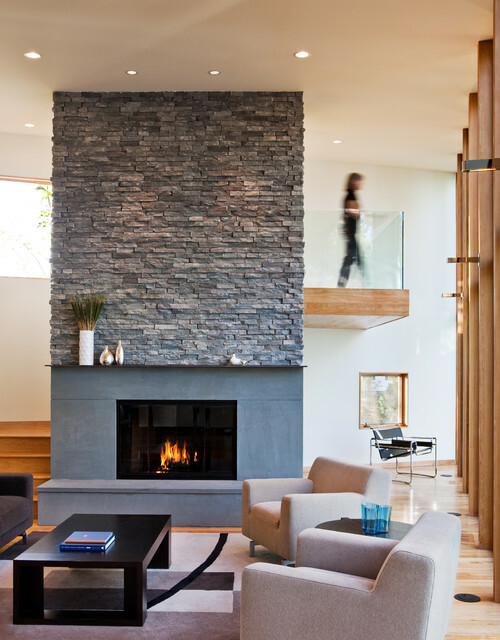 . . .feel like you need an update to your drab fireplace? Check out the following ideas for a beautiful new look. 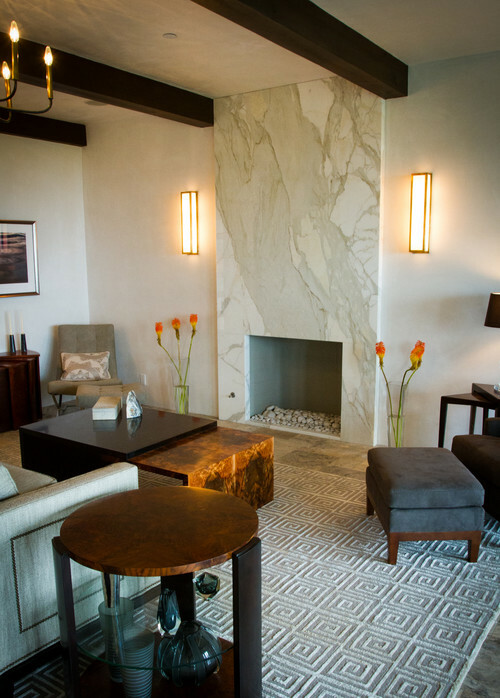 A slab of marble, granite or another solid surface creates a dramatic and minimalist aesthetic. River rock is a naturally round stone that comes in many sizes and palettes. River rock is textural and neutral and fits with traditional and rustic styles. Ceramic and glass mosaic tiles are a great choice and definite win on any fireplace surround. With endless choices design options are endless. 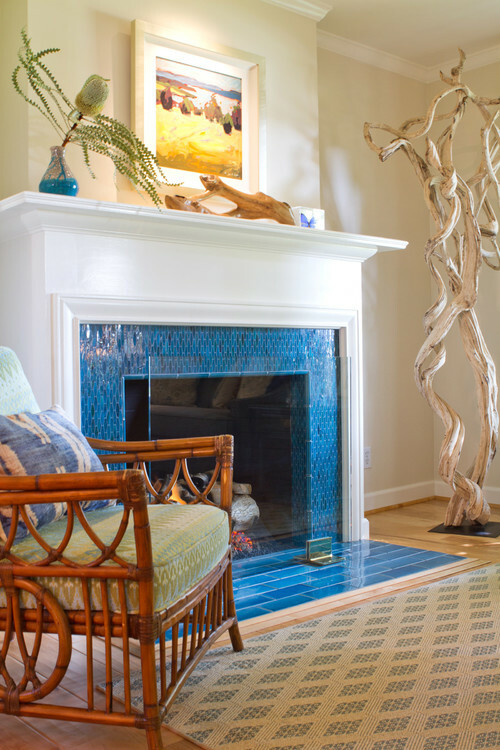 Beach Style Living Room by San Marino Interior Designers & Decorators Charmean Neithart Interiors, LLC. Ledgerstone is the texture lovers choice. It’s available in lots of color and size and can be installed horizontally or vertically. Note the slab on the bottom which makes a nice looking combination of materials. Have fun and step out of the box for a whole new look – don’t stop at the mantle – go to the ceiling for a little drama in your home!